I would love to start working with you! Contact me and let me know if you are interested in personal training, classes or both. 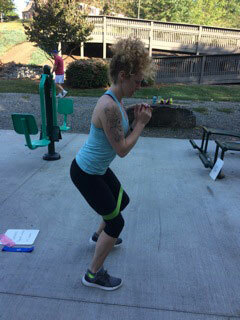 I currently teach classes and personal training out of my home gym in Weaverville. During the spring and summer when it’s nice and warm outside I will be also teaching classes at Lake Louise Park in Weaverville. Monday, Wednesday and Friday evenings I will be teaching classes at Inspire Personal Fitness as well.